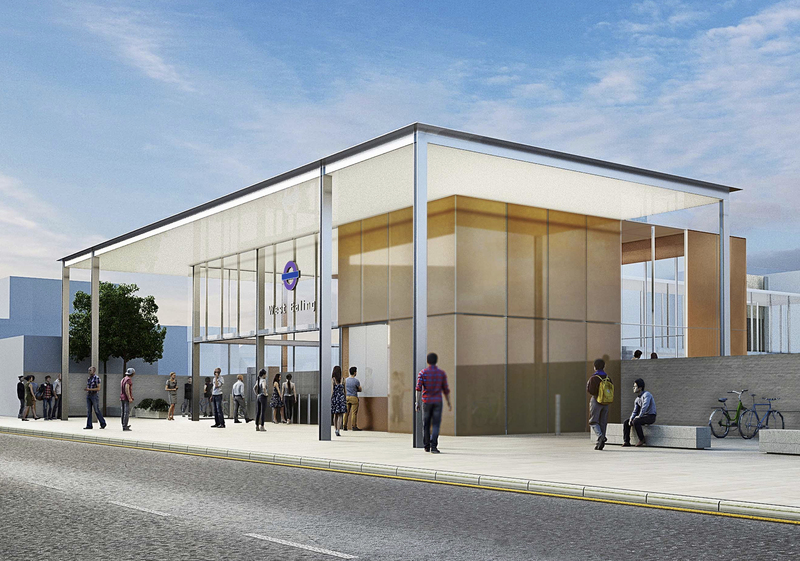 Crossrail unveils designs for new station building at West Ealing - Crossrail . For information about the Elizabeth line please visit the Transport for London website. 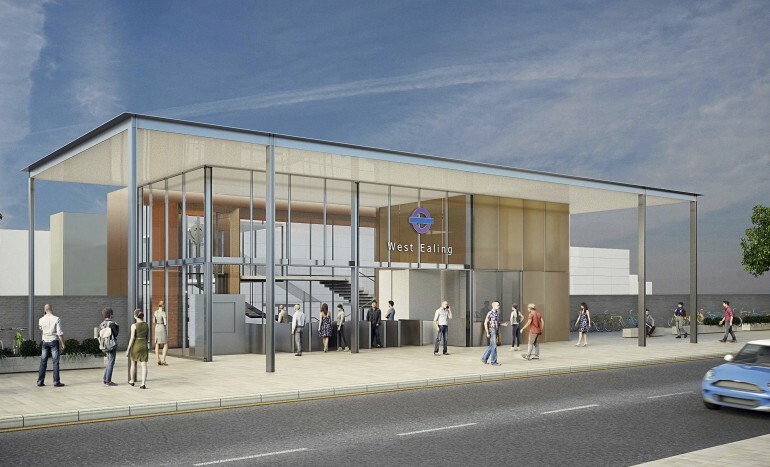 Designs for a new station building at West Ealing have been submitted to Ealing Council as part of a major overhaul of the station for Crossrail. The proposals, designed by Bennetts Associates, are for a bright, modern, spacious new ticket hall. The glass and steel structure will let in natural light and will be surrounded by a large canopy. The new building will be located on Manor Road to the northwest of the existing station building. The improvement works will be carried out by Network Rail. 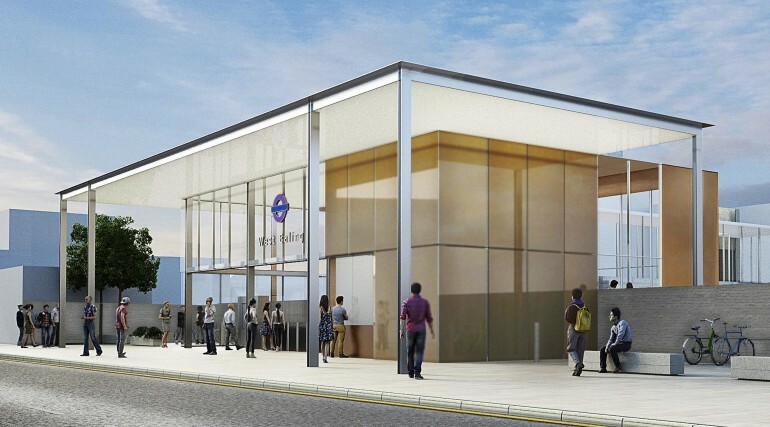 From the end of 2017 the station will be run by Transport for London as part of London’s integrated transport network. 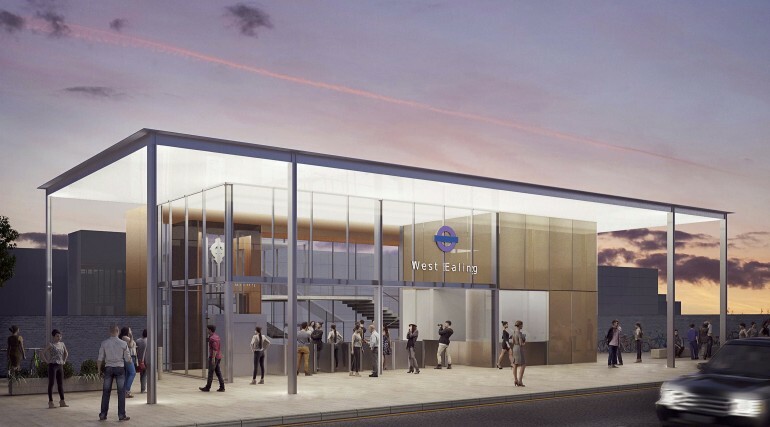 Crossrail has also been working with Ealing Council and Network Rail to help develop plans for improvements to the area around the new station that will provide better connection to other forms of transport, provide cycle parking and improve the surrounding pavements and roads. 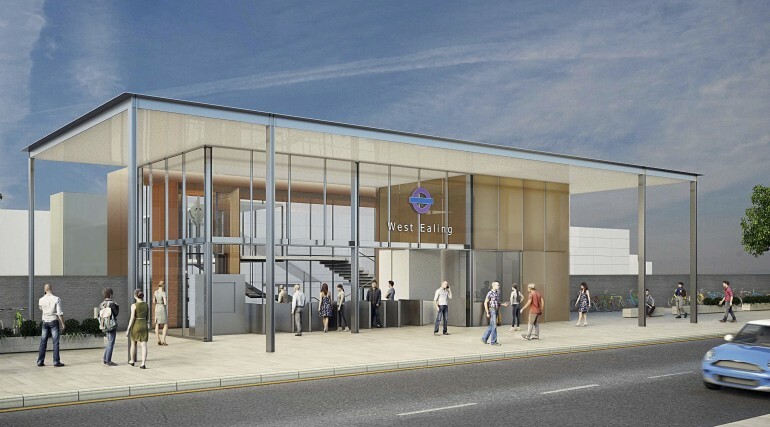 When Crossrail fully opens in 2019, four services an hour in each direction will serve West Ealing station, allowing passengers to travel right through central London without having to change trains. Passengers will be able to get to Bond Street in 13 minutes and Liverpool Street in 21 minutes, while the journey to Canary Wharf will take 27 minutes. 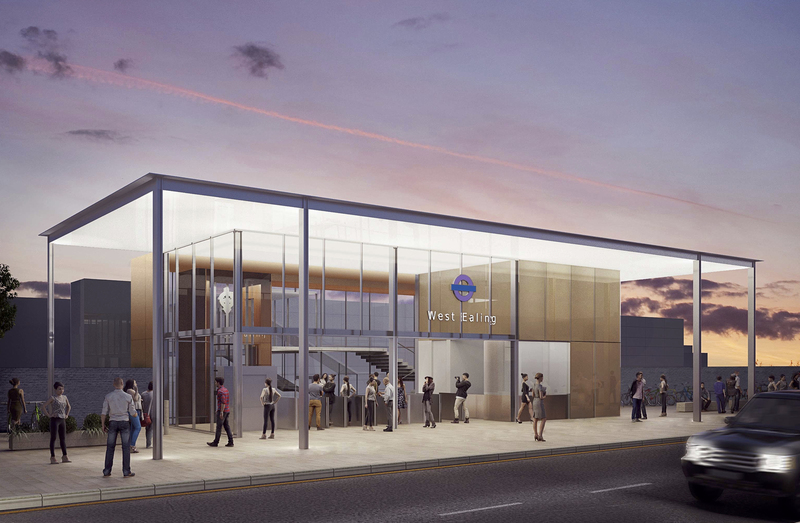 By improving transport links, Crossrail is already unlocking development opportunities in west London, encouraging investment and supporting local jobs and businesses. Almost half of planning applications (44%) within a kilometre of the five stations in the London Borough of Ealing cited the new railway as a justification for the development proceeding.